The writer, Arutz Sheva columnist, is an expert o n the Vatican. 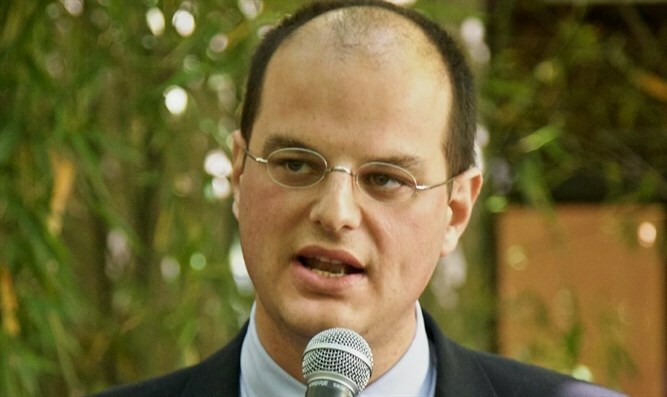 His new book, The Vatican Against Israel, will be published at the end of this month. For Pope Francis, who, it is said, plans to visit Jerusalem next year, the State of Israel doesn't even exist. This is how the Pope greeted the faithful at the end of the General Audience in Rome: "I ask you to pray for the peace in the Middle East: in Syria, in Iraq, in Egypt, in Lebanon and in the Holy Land, where the Prince of Peace is born". Where is Israel in the Pope's statement? A few days earlier, the Pope had visited St. Francis' grave in Assisi. There, Papa Bergoglio said: "Let us listen to the cry of all those who are weeping, who are suffering and who are dying because of violence, terrorism or war, in the Holy Land, so dear to Saint Francis, in Syria, throughout the Middle East and everywhere in the world". "Terra Sancta", holy land, is the malignant expression used by the Vatican and the Catholic clergy in the Middle East to deny the very existence of the Jewish state and people. If it is their holy land, it cannot be Eretz Yisrael. A few days ago Asia News, one of the most important Catholic Church foreign news media outlets, ran an article titled "The Costs of the Israeli Occupation and the Judaization of Jerusalem". The two countries which took pride in themselves as true Catholic States during the Second World War, were Slovakia and Croatia. There, more than anywhere else, strong condemnation of anti-Jewish measures could have been expected. But in May 1943, while the gas chambers of Auschwitz and Treblinka were turning Europe's Jewry into ashes, the Vatican's Secretary of State Cardinal, Luigi Maglione, in a document, listed a number of arguments to support the Pope's refusal to help and rescue 2,000 Jewish children from Slovakia. Various reasons were given to explain the Catholic Church's refusal to recognize Israel for decades after the war. Among these, Maglione mentioned the Vatican's opposition to the Balfour Declaration and the plan to establish a Jewish homeland. Various reasons were given to explain the Catholic Church's refusal to recognize Israel for decades after the war. Among these were that Israel did not yet have "recognized borders," while the Vatican maintains diplomatic ties with other countries without "recognized borders." Democratic countries such as Iran, Saudi Arabia, Syria. But the Vatican's denial would have existed even if Israel would have drawn its border in Herzliya. It is Israel's very existence which makes the Vatican's hierarchy nervous. They cannot even pronounce the name of "Israel". David Ben Gurion said it well: "The Catholic Church has a 2,000 years old reckoning with the Jews. The Vatican doesn't want Israel to rule. There is a dogma (replacement theology, ed.) which has existed for 1,800 years and we gave it the coup de grace by establishing the State of Israel". From 1943 to 2013, nothing as really changed in the Vatican's rejection of Israel's territorial and religious sovereignty over the "holy land". Yesterday it was apathy about a Slovakian Jewish child. Today it is a little Israeli girl from Psagot.